When you are looking for fasteners, you are trying to evaluate the situation and pick the best way to put materials together. Fastening one or more pieces of light, medium, or heavy gage sheet metal together may require the use of adhesives, riveting, or self-tapping screws. If an application requires access or several layers, tapping screws maybe the best option. Just like other types of fasteners, self-tapping screws are available in all shapes and sizes and are also available in numerous different head types. When choosing the right self-tapping screw for any given application, it is important to consider the length of the screw tip. In order for the screws to serve their purpose and work properly, the screw must be drilled fully into the material before threading can begin. Self-tapping screws, mainly made of carbon steel or stainless steel, are widely used on plastics, metal and wood materials. 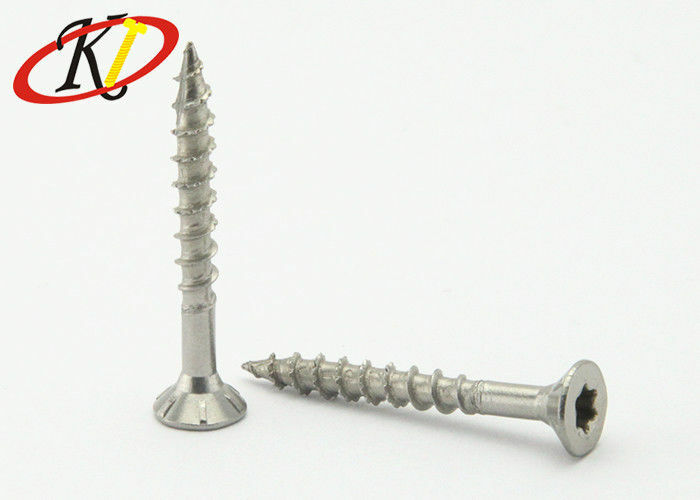 The best part in the use of self-tapping screws is that there is no need to drill holes before they are used. The two basic types of self -tapping screws are thread-forming screws and thread-cutting screws. The thread-forming screws are commonly used for plastic, deforming the material as the screws enter. The thread-cutting screws are typically used for wood and metal, removing some of the material and creating a threaded path for the screw. Both high and low temperature resistance. Various surface treatment for corrosion resistance and rust resistance. TUV CERT ISO9001:2000 quality assurance. 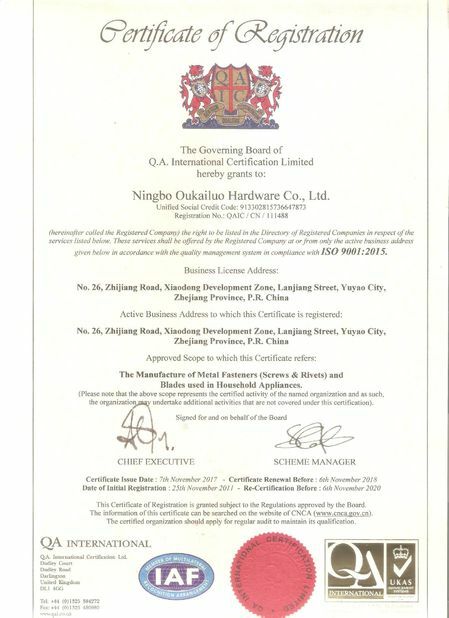 Ningbo Oukailuo Harward Co., Ltd, established in 1999, has been a leading manufacturers with a history of product and service over 18 years. As a professional and integrative fastener maker, Oukailuo combines scientific research , production and sales as a whole. Enjoying a full set of advanced production equipment and quality measurement system. 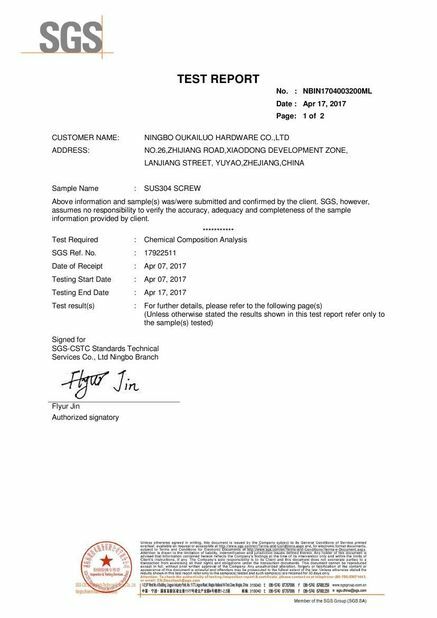 Oukailuo makes it possible that 98% of screws, rivets, cold heading parts and stamping parts which we mainly specialized in, greatly satisfied customers’ need. We persist in the principle of “ Quality and integrity is the lifeline of a enterprise’s subsistence and development” and do our best to provide you with best fasteners, most competitive price, fastest delivery and best services. We sincerely hope to be your reliable supplier and partner. Our factory can do customized products.